In an effort to redeem myself after the last, sort of, well, maybe, shall I say, half-arsed post, I've got something pretty darn tasty to share. 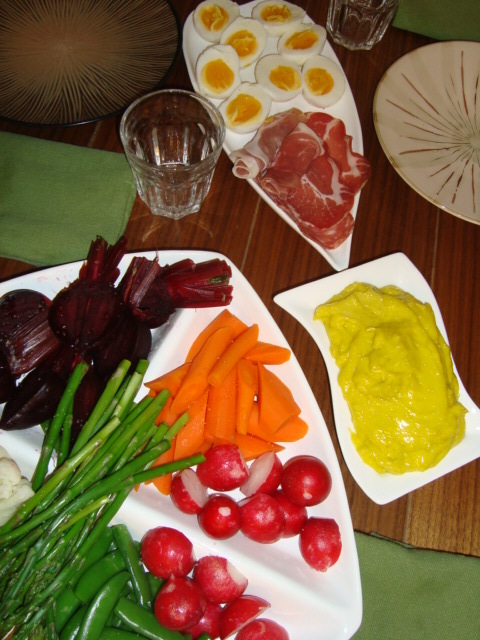 Having just finished reading A Pig in Provence, by Georgeanne Brennan, for the second time, I got inspired to make Le Grand Aioli, an Aioli Feast, that is. Fortunately, nothing broke, not even my arm from whisking. And no food poisoning whatsoever. It remains to be seen how our arteries are doing. What's life without a bit of risk though? Ha! I laugh in the face of danger! 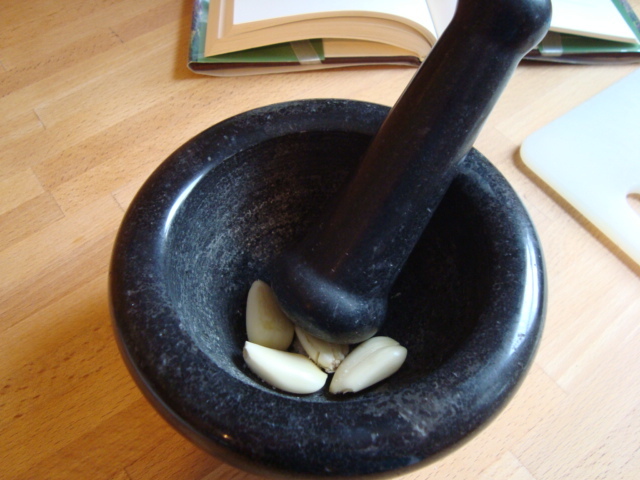 Begin by crushing four cloves of garlic and a pinch of coarse sea salt (mine was a fairly hefty pinch) in a mortar and pestle, to make a smooth paste. Turn the paste into a large bowl and add three, preferably free-range, organic (outwitting the raw egg dangers, after all) egg yolks, and whisk it together. Drop by drop, ever so slowly, drizzle in a half a cup of olive oil, whisking continuously, so that the egg binds properly with the oil. Know this, folks, I cheated a bit here, and used my little electric hand held immersion blender, which has a whisk attachment. 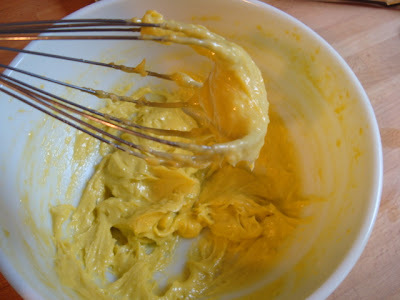 Fearful that my manual whisking abilities would not be up to snuff, you see. 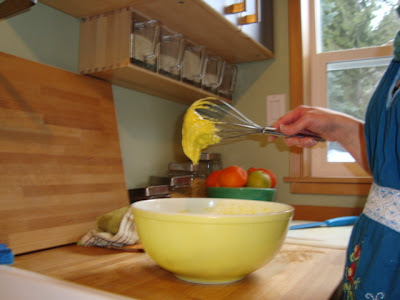 Turns out, they were, and that cord just kept getting the way, so I did end up whisking by hand before long. So what if I have Popeye muscles in one arm now? We're making aioli here! 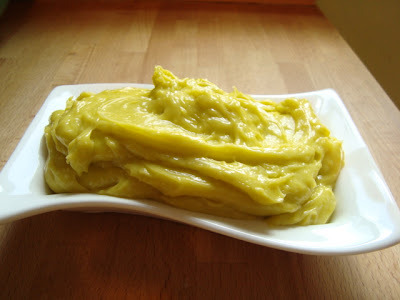 Once your aioli begins to thicken, and looks nice and bound, you can add another half a cup olive oil, steadily drizzling it in while whisking the entire time. 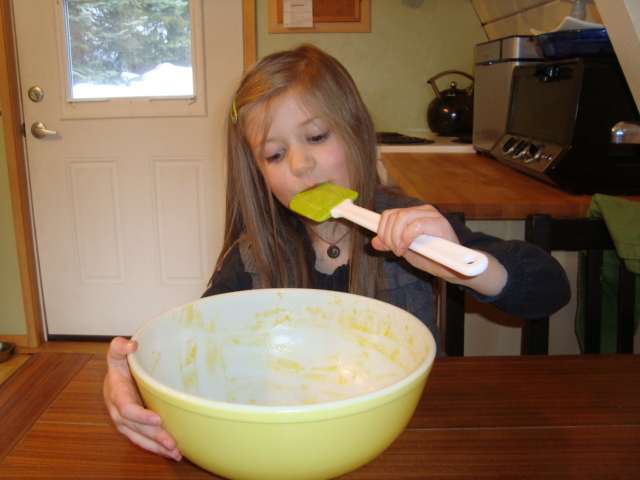 (This is somewhat tricky, as the bowl wanted to spin away, but I grabbed my ever-helpful daughter, to hold it still.) Whisk just until the aioli is nice and stiff. 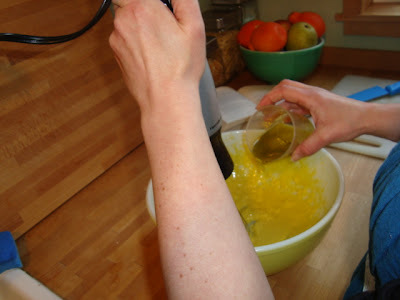 Ms. Brennan recommends using half a cup of olive oil, and half a cup of milder oil, like grapeseed or sunflower, if you want a less aggressive taste. I love olive oil, though, so went for the whole cup, and absolutely did not regret it. This makes a fairly large amount, well over a cup, and even though we're centering our meal around it, we couldn't possibly use all of it. I mean, a little goes a long way, and we've got heaps left over. 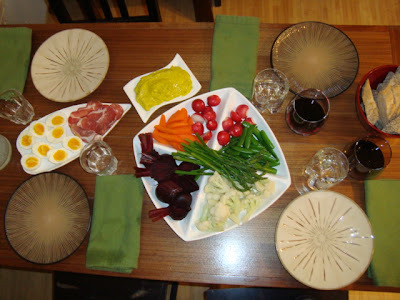 Continuing on with the authentic aioli feast, I served the aioli with blanched vegetables, and baguette, and little prosciutto (I know, it's Italian, but they have something similar in France, so don't worry about it.) This was the most time-consuming part, but still pretty easy peasy. How hard is it to throw vegetables into a pot of boiling water for a couple of minutes, then run under cold water to stop the cooking? It's not. Super easy. Blanch each vegetable separately, but use the same water, so as to be more efficient. Boil your lighter veg first, like the cauliflower, so it doesn't get colored by say, asparagus or carrots. The idea here is to keep the crispness and enhance the color of each vegetable, by just barely cooking it. Using a slotted spoon, fish the veg out of the hot water, and immediately run under cold water, or throw in an ice bath, then drain on tea towels. And let us not forget the eggs! Georgeanne recommends it as part of the real deal, Le Grand Aioli, and I must agree. Yum. Place four eggs in cold water, in a small, but uncrowded saucepan, and bring to a boil over high heat. As soon as the water boils, immediately turn it down to a very gentle simmer, set the timer for 6 minutes. Once the timer goes off, carefully pour out the hot water and replace with cold water. Once the eggs are cool enough to handle, peel them and slice in half. I threw a sprinkle of sel gris over all the veg and eggs for serving, but sea salt works fine too. We also threw some raw radishes in, because why not? The more, the merrier. And there you have it. Le Grand Aioli. A very lovely dig-in-and-make-your-own-plate kind of supper, who doesn't love that? 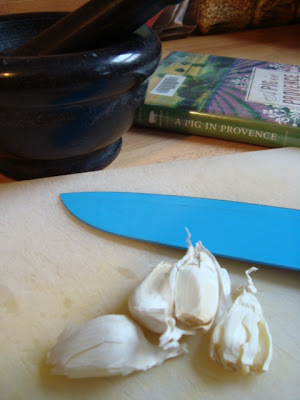 And I'm pretty sure that that amount of garlic, with its marvelous health benefits, must surely outweigh the dangers of a rather lot of olive oil. Right? Oh yes, that's my gal, licking the aioli bowl. Hmmm...not something you see every day.